Pyc bearing is a specialized manufacturer of various micro miniature bearings,micro miniature bearing,miniature metric bearing,miniature bearing company,miniature metric bearings. 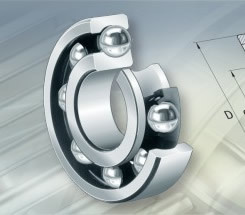 PYC micro miniature bearings are used in numerous aerospace applications, medical and dental equipment, computer peripherals, power tools, X-Y plotters, motion control systems, scientific miniature and micro-miniature instrumentation and many other industrial applications where precise rotary motion is required. 9) Model: 672-6709, 682-6820, 692-6920, 602-6020, 623-6220,633-6320, 16000, MR52-MR149, R, FR, MR, MFR,Free sample is available.